It is well accepted that patients studied in pharmaceutically sponsored clinical trials do not always represent the types of patients seen in clinical practice. Therefore, a description of clinical and laboratory data of patients in community practice may provide important and perhaps unique information. The purpose of this analysis is to characterize the type of patients in a real world (RW) setting receiving tofacitinib (TFA) using the rheumatoid arthritis (RA) registry, JointMan® (JM). This database was launched in 2009 with a mission to provide a practical outcome tool to manage patients with RA in a traditional office based clinical setting. This is a descriptive, observational study comparing the patient characteristics of a clinical office based population of patients enrolled in JM to the ORAL Step study (OS), a pharmaceutically sponsored study of TNF-IR patients receiving TFA. JM captures RA diagnostic criteria and selected disease features, formal joint counts, outcome measures, serology, medication efficacy and safety and reason for discontinuation of medications. OS was chosen as a comparator as this patient cohort was the most comparable to the JM TFA treated group. Data was collected from Nov 2012 to March 31, 2015. Continuous covariates were compared using a T- test; categorical covariates were compared using a chi-square test. Due to the retrospective methodology, complete data was not always available. A total of 5700 unique RA patients and 133,000 encounters have been recorded. Over the study period, there were 156 RA patients newly prescribed TFA. All patients in JM had received at least one anti-TNF agent prior to TFA initiation and the mean number of TNF inhibitor agents used was 1.8. Only 21% of patients in JM were treated with concomitant MTX. The population treated with TFA in the JM was 81% female and in OS 85% (p=0.383). The mean age at start of TFA was 60 in JM whereas in OS it was 54.2 (p=0.004). Patients had a mean duration of disease of 3.8 years in the JM whereas in the OS cohort disease duration was 13.0 years (P < 0.001). If a patient lacked a definitive diagnosis date, their first JM assessment date was used. Joint count scoring differed in the two cohorts: 66/68 in OS, 28 in JM. Irrespectively, both groups had a high disease activity as measured by mean CDAI score in JM of 26.7 and DAS 28-4 (ESR) of 6.5 in the OS. In this RW setting some patient characteristics were comparable to those seen in published trials. Similar to OS, in JM there was a predominance of females with a similar mean age and patients had high disease activity at initiation of therapy. However, differences were also noted. TFA was used much earlier in the disease course than in OS. Interestingly, TFA was used more commonly as monotherapy in JM than in combination with methotrexate. Although randomized clinical trials differ markedly from observational studies and there are limitations of both types of studies, important information can be gleaned from such a comparison. The differences in trial designs, selection bias, information bias, confounding by indication, must be considered when interpreting these results. Schwartzman S, Knapp K, Craig G, Ferguson K, Kenney H. Use of Tofacitinib in a Real World Setting: Clinical Features in a Cohort of Patients Using the Database Jointman Compared to a Published Clinical Trial [abstract]. Arthritis Rheumatol. 2015; 67 (suppl 10). 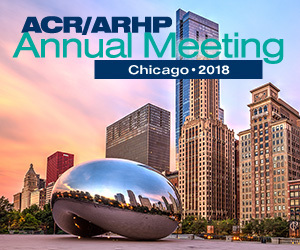 https://acrabstracts.org/abstract/use-of-tofacitinib-in-a-real-world-setting-clinical-features-in-a-cohort-of-patients-using-the-database-jointman-compared-to-a-published-clinical-trial/. Accessed April 20, 2019.